3 Hand Bell Trees - mini model. Made in Taiwan. Bright sounding large nickel plated 'sleigh' bells attached to comfortable stem. 13 Hand Bell Trees - standard model. Made in Taiwan. Bright sounding large nickel plated 'sleigh' bells attached to comfortable stem. Jingle Stick - 6 jingles. Easy to use and fun to play! 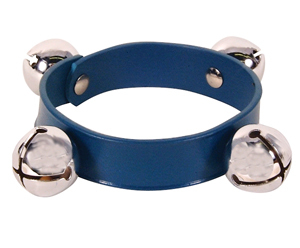 This new-style tambourine is sure to be a favorite with children of all ages. Constructed of durable plastic and chrome-plated jingles. Brass Hand Bell - Square. Handbells - B&W 20 - note chrom A5-E6. Handbells - colour 20 - note chrom A-E.